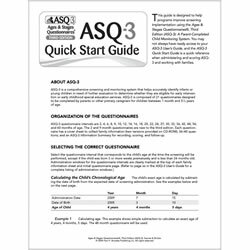 Through footage of ASQ-3™ tasks and close-ups of sample questions and scores, learn how to score the questionnaires accurately and decide if a referral for further assessment is needed. 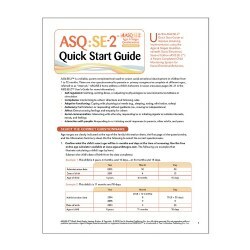 Perfect for busy professionals on the go, this lightweight laminated guide to ASQ-3™ keeps administration and scoring basics close at hand. 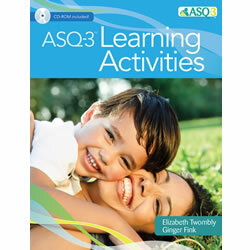 Sold in packages of 5 so everyone in your program can have a copy. English and Spanish available.